Are you worried about rising medical costs? You’re not alone! A visit to my doctor, which prior to this year was $25, is now $45. Tomorrow, when I see the two specialists, it will be another $90. Hospital admissions are now more costly, as are deductibles. Congress took millions of our Medicare dollars, which we paid into, to help finance the Affordable Care Act and then added much more costs to the elderly for treatment. I now pay $150 per month more in premiums. NONE of my doctors is in network, and I have a $6,500 deductible for out-of-network providers. My husband just received a letter from his insurance company stating that they were raising his premiums $300 per month! So he now pays almost $1,000 per month. We are not wealthy, and yet we are paying exorbitant amounts. Across the country, 57 million Americans are covered by Medicare. A government health care program that is supposed to make health care for seniors more affordable. But in practice, this program is anything but affordable. Even under the “protection” of Medicare, seniors are facing medical care costs that are rising steadily. These costs increasingly cut into the retirement savings of an entire generation. A generation that has already paid its dues… A generation that has contributed to our society (and specifically to Medicare). And a generation that deserves to live out its golden years with much more dignity and financial security. But medical cost increases — specifically under Medicare — have turned the American dream into a nightmare for far too many seniors. “These increases illustrate how rising health care costs erode Americans’ retirement income, and why it is critical to plan ahead.” This from Cathy Weatherford, CEO of the Insured Retirement Institute. It’s true that rising Medicare costs are a major problem for U.S. seniors. And for those of us who will be seniors in the next few decades, the problem is even worse. That’s because costs continue to rise as life expectancies increase and as medical care becomes more expensive. Let’s take a closer look at what’s really happening to Medicare costs. Medicare is a government health insurance program designed to ensure that seniors and those with disabilities are able to afford basic health coverage. Depending on your employment history, you should be eligible to start receiving Medicare benefits when you turn 65. People under 65 years old with qualifying disabilities are also eligible for Medicare. Medicare Part A: Hospital Insurance. Medicare Part A is designed to help you pay for a hospital stay, along with a variety of other hospital-related services. If you’re enrolled in Medicare Part A, the program should pay for the majority of your hospital stay up to the first 60 days. After 60 days, however, you’re required to fork over hundreds of dollars per day. And after 90 days in the hospital, that daily payment requirement increases. Worst of all, once your Medicare benefits are used up, you’ll have to pay for the rest of your hospital stay completely out of pocket. Medicare Part B: Doctor Visits and Tests. For Medicare Part B, you’re required to pay a monthly premium to secure your coverage. If you elect not to enroll nor pay your monthly premium, you may be required to pay a penalty. Your monthly premium will usually be deducted from your Social Security check. Under Medicare Part B, you have a deductible that you must meet out of pocket. But once that deductible is met, Medicare will pay 20% of approved services. One other benefit is that under this program, you do not have to pay anything for approved preventative services. The key word being “approved.” Services such as dental or eye care are not covered. 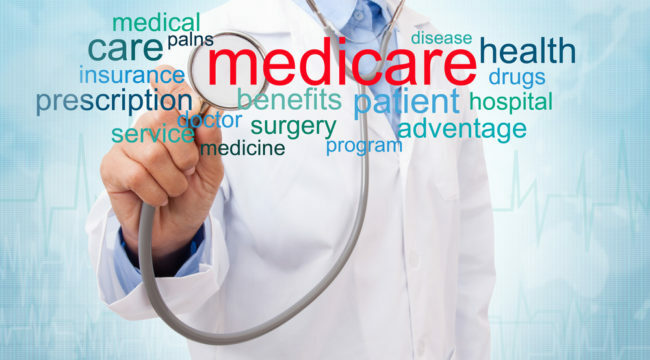 Medicare Part C: Medicare Advantage. This part of Medicare is actually covered by private businesses. Essentially, you can opt to use Part C, which means that your Medicare premium payments will be sent to an insurance company. That insurance company will then use the premiums to provide you with a private insurance policy. That policy will cover a variety of services such as hospital costs, doctor visits and possibly even prescription drugs. You’ll need to look carefully at each plan to determine exactly what is offered and how you will be covered. As you can see, the Medicare system is bureaucratic, confusing and inefficient. It’s extremely difficult to know exactly what medical services are covered by each section. And heaven forbid you have a major medical event… Not only do you have the stress of regaining your health, but you also have to figure out who is responsible for paying and how you will meet your out-of-pocket costs. In short, the Medicare program is a giant mess! Theoretically, Medicare costs are supposed to be tied to the Social Security Administration’s cost-of-living adjustment (or COLA). Seniors are not supposed to be required to pay more for Medicare unless they have an equitable increase in their Social Security checks. Medicare costs are required to only increase by this same COLA raise that retirees receive. But that’s not the way it actually works. Instead, Medicare has opened a number of loopholes to effectively raise the costs for health care coverage. Again, this is a shameful way to treat our seniors. No wonder so many retirees are struggling to keep up with medical care costs. The rise in out-of-pocket costs for seniors is troubling. But there’s an even bigger problem lurking that you won’t read about in the paper or hear about on the news. A dangerous problem that could affect your ability to find quality health care, regardless of your Medicare plan details. The most disturbing “cost” of Medicare is not the price seniors pay for coverage. It’s the cost of reduced access to care as medical professionals choose not to provide coverage under Medicare — or choose to drop out of the market all together! Lately, Dr. Bell has been considering closing up his shop and simply retiring. He has had to hire extra staff members just to deal with Medicare paperwork, and the clerical duties of handling insurance claims steals the joy of helping people that he originally loved about his field. As Medicare coverage takes over a rising portion of our nation’s health care industry, more providers are simply not willing — or not able — to give patients coverage at the price Medicare demands. And as more of these professionals drop out of the market, American seniors are paying the cost. If you were hoping that ObamaCare — or TrumpCare — would eventually fix this problem, don’t hold your breath. Washington is totally gridlocked when it comes to designing a health care plan that truly serves American seniors. I could give politicians the benefit of the doubt and say that it’s a complicated issue that is difficult to tackle. But the truth is, there is too much corruption in the system to get anywhere close to a reasonable plan. Special interest groups, inflexible ideals, personal pride and plain-old corruption are just too strong. I don’t care if you vote red, blue, or purple, this Medicare mess isn’t getting solved anytime soon. American seniors need a system that will give them the coverage they need at a price they can afford, and one that will adequately compensate providers for the services they offer. This system must be based on private industry principles. Otherwise, it will be too susceptible to political interests and bickering. That system won’t be in place anytime soon. Which means that you need to very carefully plan ahead for your future medical expenses. I recommend getting private long-term medical insurance to make sure that your current and future needs are covered. You can’t count on Medicare to fulfill the promises that have been made over the years. Of course, you’ll need to invest wisely to make sure you have enough capital set aside to cover rising costs. And that’s why I’m constantly looking for new investment opportunities to grow your wealth. Stay tuned for future alerts on Medicare coverage. There are a lot of shifting dynamics in Washington and the outlook for your health care coverage is sure to get more convoluted and bureaucratic.